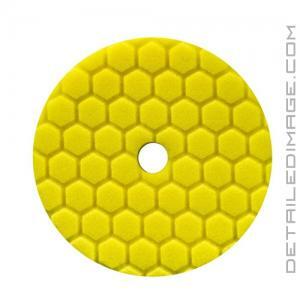 Hex-Logic pad designed to help remove heavy imperfections! 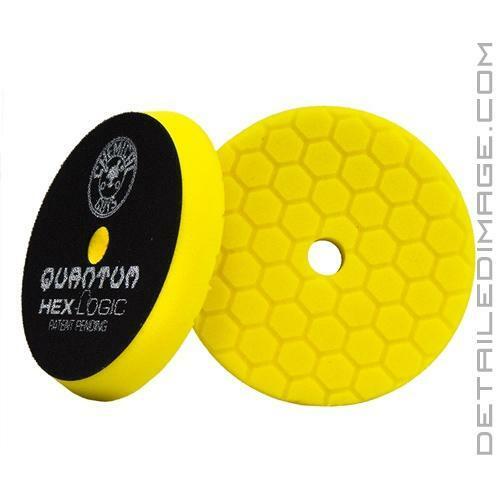 The Chemical Guys Hex-Logic Quantum Buffing Pad Yellow will help you remove some of the heaviest imperfections with ease! This Yellow pad is the heaviest corrective pad in the Chemical Guys Quantum line, allowing you to remove swirls, very light scratches, and other ugly imperfections with less effort. If you need to detail a vehicle that has been neglected the Yellow pad is the perfect starting point. You will notice it quickly remove imperfections, but like all aggressive pads, it has a tendency to leave behind some compounding haze. Follow up with a lighter pad and polish combo to remove the haze and leave your paint looking fanatic! If you need a pad with less corrective power, check out the other Hex-Logic Quantum pads below. In this day when so much is done so half-assed, you guys really seem to be on the ball.